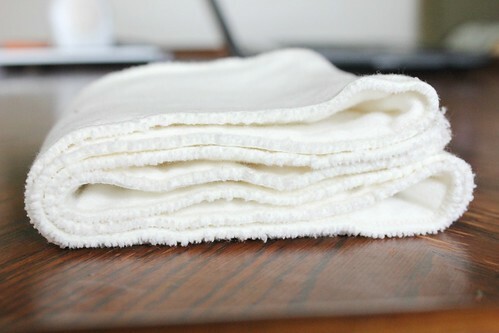 Swaddlebees is one of my favorite diaper brands. I love their quality and they have great designs. I’ve been shopping around for a few new diapers since I’ve got another little bottom to cover, so I decided to give the Swaddlebees Econappi a try. I’m so glad I did! The construction of this diaper is a step above and I’m so excited to share it with you! 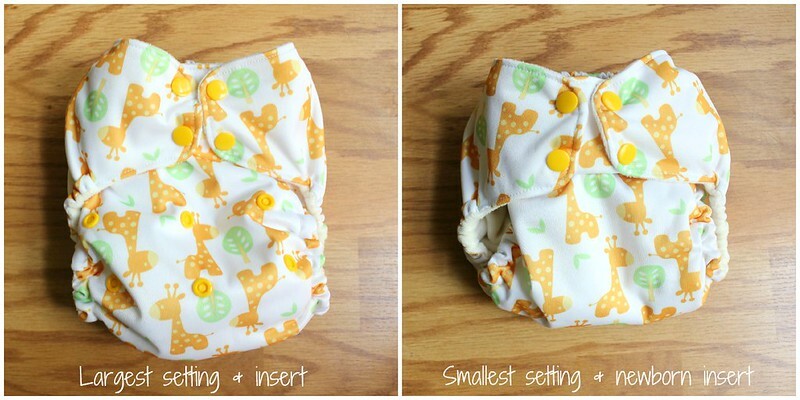 The Econappi is a one size pocket diaper that can accommodate babies from 10-35 pounds. It comes with two organic cotton and bamboo inserts. Bamboo is extremely absorbent so it holds a lot of moisture without being bulky. The larger insert folds in thirds and snaps together, and you can either lay it on top of the lining or stuff it in the pocket. The smaller insert is used for newborns or as a doubler. 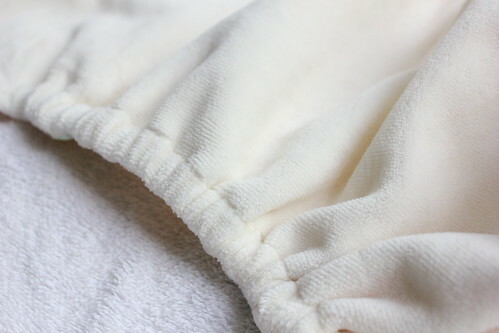 This diaper features a very generous pocket opening and an organic velour lining. I’m in love with the lining, it is so soft and luxurious! I tested this on both babies but it really only worked for Judah because of it’s size. It is supposed to fit from 10-35 pounds, but when I put it on Kaia it was just a bit too bulky. The rise was fine, but the leg openings weren’t very snug. I think I’ll wait another few weeks to try it on her again. I actually love that this is a larger diaper. Judah is nearing the end of his diaper days, and at 27 pounds he’s completely grown out of a few of our “one size” diapers. I use the second to largest snap setting on his waist, and the largest rise. The sizing is generous enough that he still has room to grow, but the fit isn’t bulky at all. This is a great diaper for larger babies and Eco minded families. I love that it is made of organic materials and the design is adorable! It is very sturdy, feels soft on the skin, and the inserts have a quick drying time. Want one of your own? You can win it below! 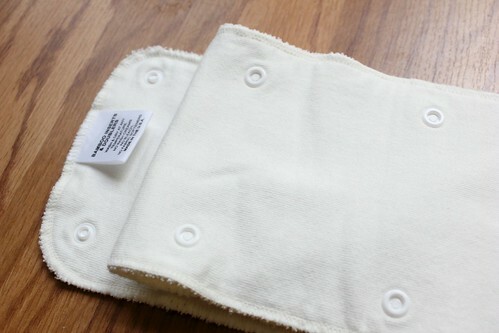 Buy it: Purchase the Swaddlebees Econappi from their website for $29.95. You can also check out Swaddlebees on Facebook and Twitter .